This anthology contains seven texts by Kurt Blaukopf (1914-1999) that exemplify the sociological and epistemological position of this pioneer of Austrian music sociology. 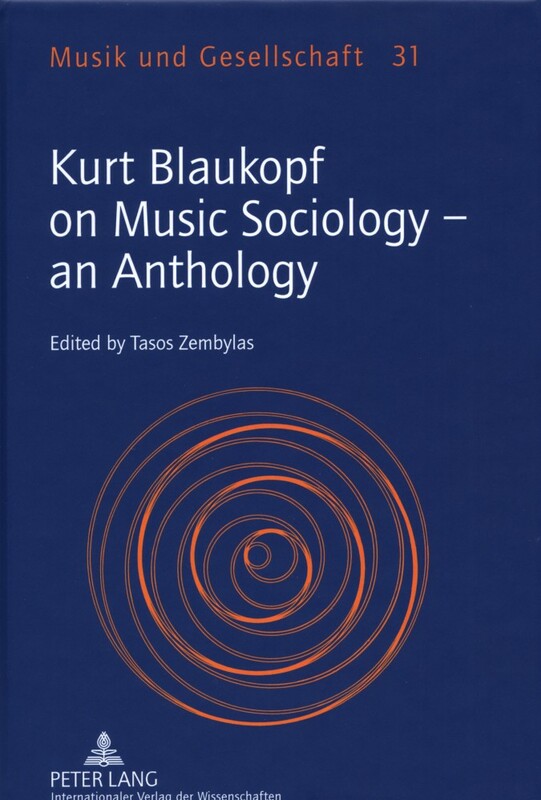 Blaukopf's efforts were aimed at a comprehensive, interdisciplinary approach and analysis of music as a cultural phenomenon and as social practice. The primary aim of this anthology is to make Blaukopf's work better known in the English-speaking world. It offers the interested reader a fruitful analysis of the relation between music sociology and its sister disciplines, e.g. musicology, a solid reflection in terms of the philosophy of science on the possibilities and limits of music sociology and a highly topical discussion about the significance of intrinsic artistic aspects in music sociology.